Variance analysis presents two new views. From now on, you can get displayed not only the time difference during the Variance analysis but also track effort and cost developments in the project on separate views. 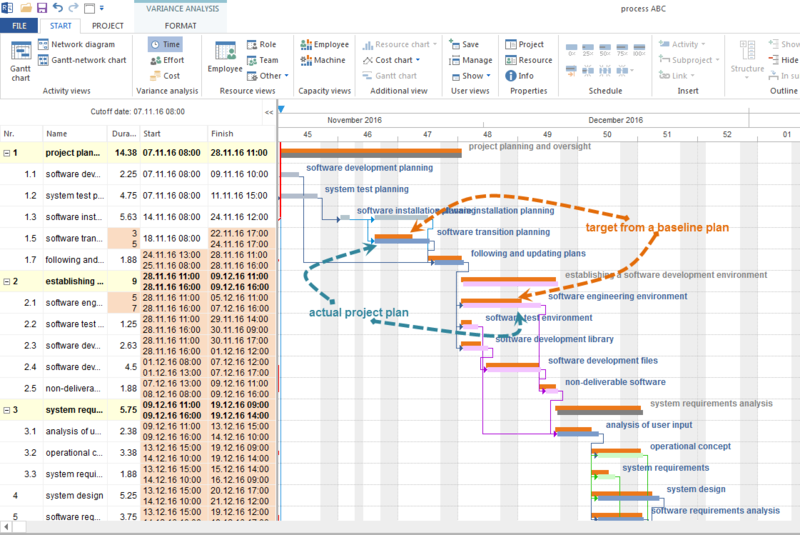 Now as a separate view, Variance analysis represents the time deviations between the actual project status and one of the selected baseline plans graphically in the timescale. The table also highlights differences with a red background. Effort difference is presented in a tabular form. 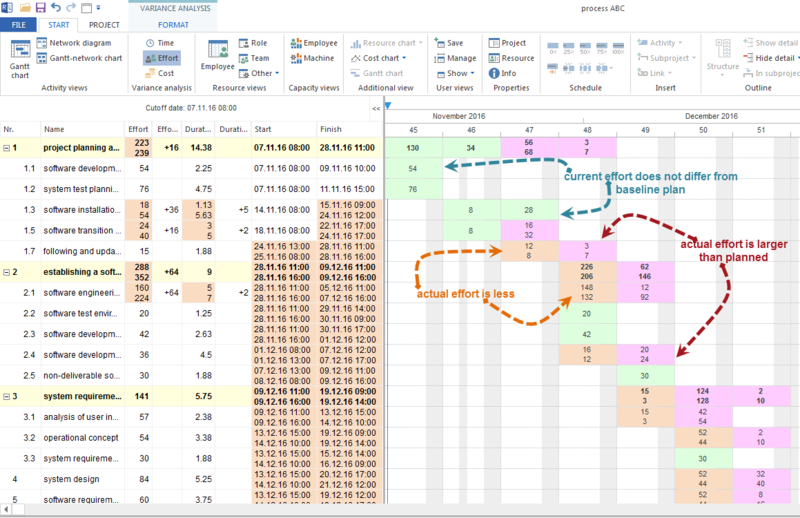 If an actual effort in the project does not differ from the baseline plan, an effort value is displayed in selected time units with a green background. The deviations are presented with a bright and intense pink background. A background in light pink indicates that an actual effort is less than planned. On the other hand, an intensive pink background warns that an actual effort value exceeds the planned effort. Costs difference is also presented in a tabular form. Analogous to Variance analysis effort, Variance analysis costs are also displayed. 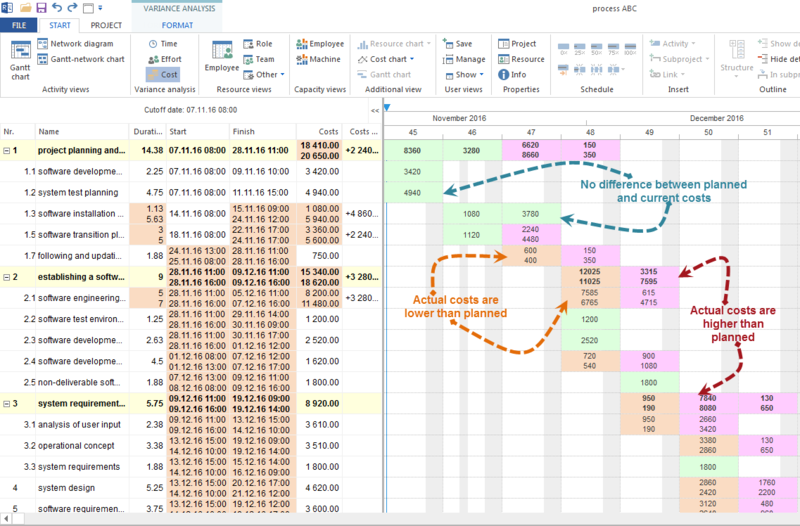 If actual costs in the project do not differ from the baseline plan, a costs value is displayed in selected time units with a green background.